The Cold Shoe Mount with 1/4"-20 Thread from Kupo is made of injected molded plastic that prevents any electrical contact with a shoe mount flash that would otherwise short out the flash. At the same time, it is compatible with shoe mount accessories, such as a microphone or small video light. 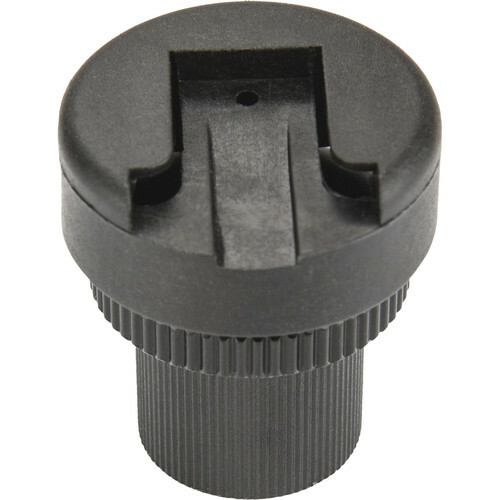 The thumb wheel enables you to tighten the shoe mount adapter into a 1/4"-20 socket, but it also includes a 1/4"-20 double barrel female adapter, so it can attach to a male thread. Box Dimensions (LxWxH) 5.4 x 3.55 x 1.45"